Home » Health Alerts » Crazy Holiday Schedule? Parties, family traditions, and crazy schedules are part of the typical holiday season. With the changes in routine for your children with school out of session, the changes in weather, and the never ending “to do” list, don’t trade active play for increased screen time in your home. The American Academy of Pediatrics encourages parents to limit screen time to no more than 1 to 2 hours per day for older children, and very limited screen time for those under two. 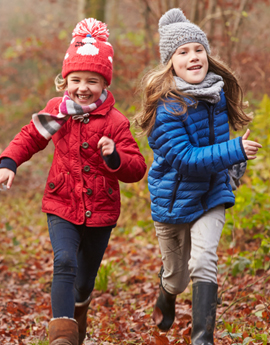 Instead of turning on the TV to keep your children occupied, encourage safe outdoor play, take a walk in your neighborhood, check out the holiday happenings, cook something to deliver to a friend or relative, play a game or read a book. These types of activities will help limit the amount of time your child spends watching TV and will encourage more physical, social and cognitive development. For more information on how to get your children specifically involved in physical activities visit Strong4Life’s Fun Moves. Before I decided to buy Priligy, I experimented with various herbal miraculous ointments, it was a waste of time, and if you really have a problem, do not waste your money.